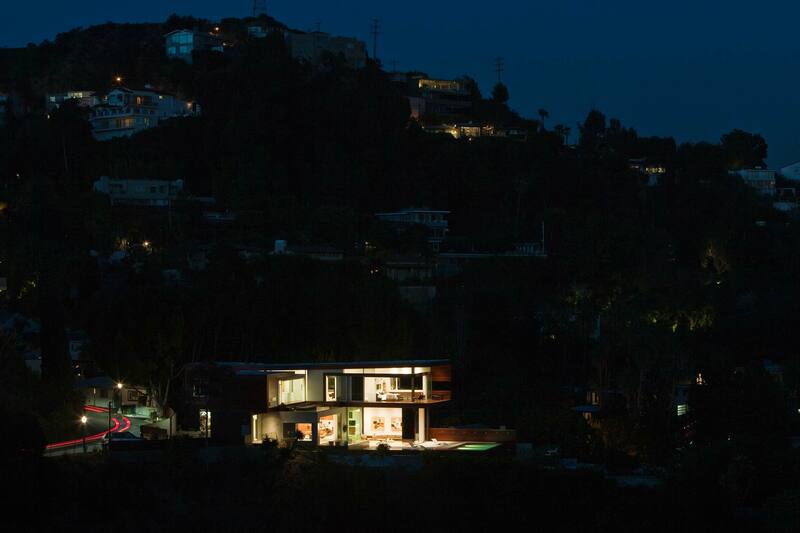 Located above the Sunset Strip in the Hollywood Hills of Los Angeles, Sunset Plaza Residence opens up to the surrounding landscape allowing the project to utilize all of the relatively flat site, unique to the hills. 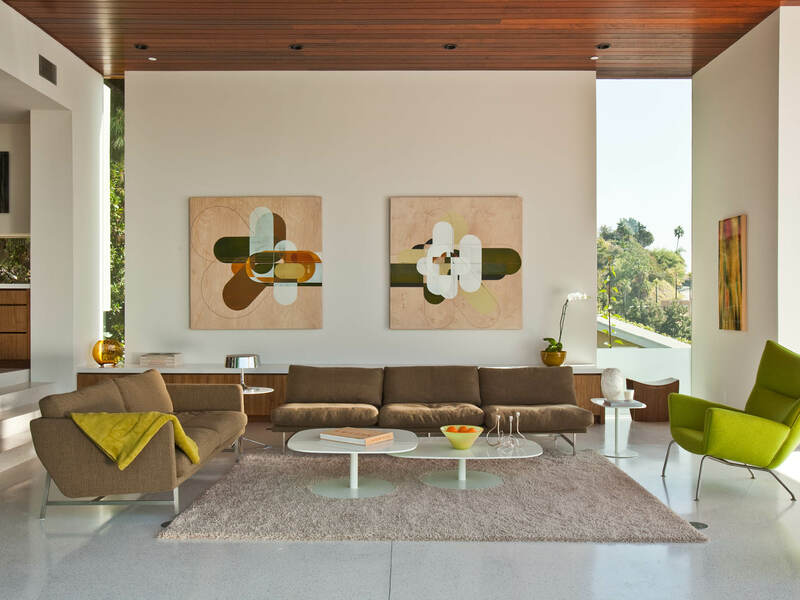 The design has been primarily driven by the motivation to extend the precedent established by the modern architecture of Schindler, Neutra, and Maston in the area. 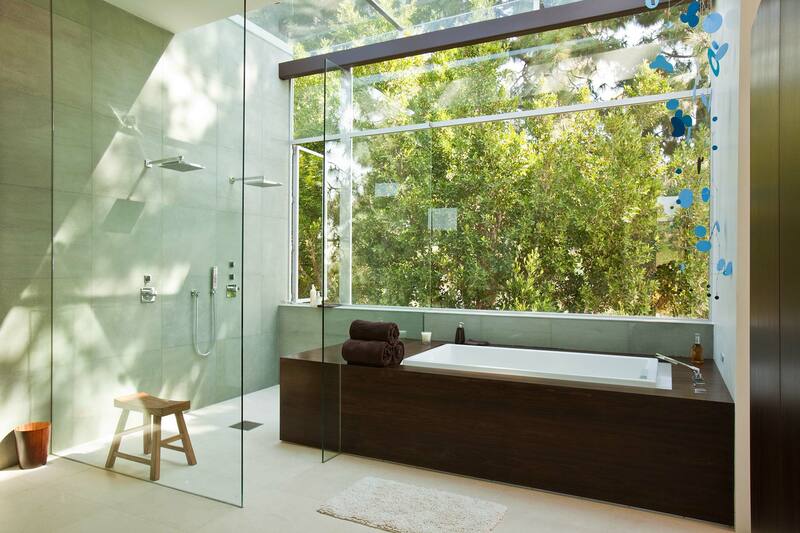 The clients asked for an indoor-outdoor experience, addressing the dramatic views from inside out while still regulating the views from outside in. 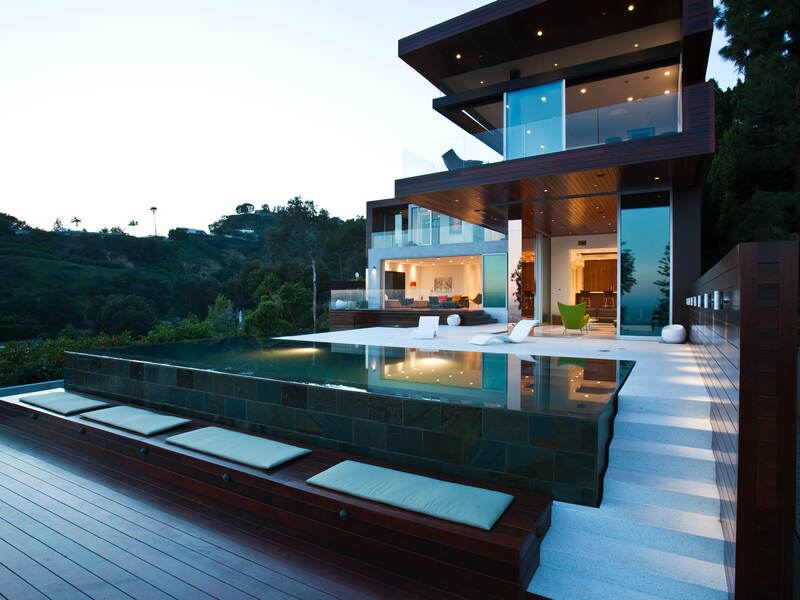 The site is designed as a series of outdoor spaces that interlock with the ground floor spaces of the house. 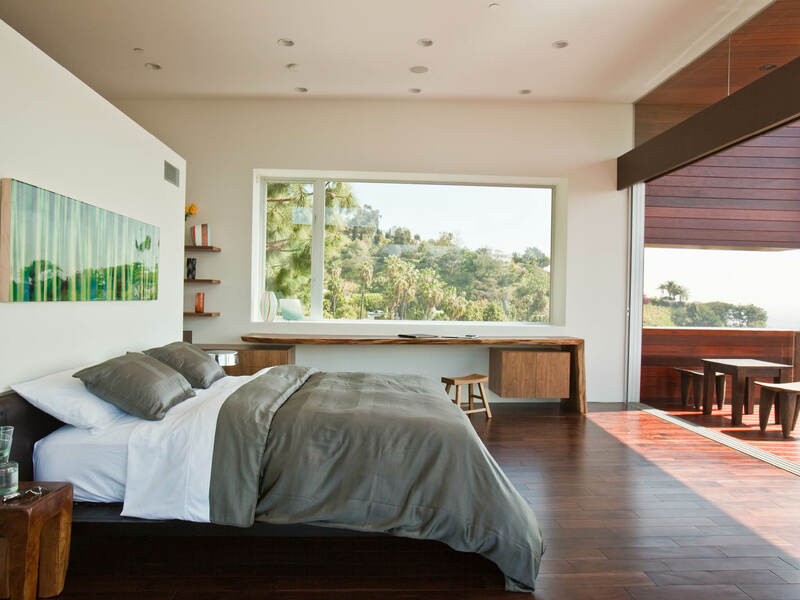 Set on a rare, flat parcel of land in this sloping site, the house plan features simple geometric forms with a horizontal, low-profile silhouette, receiving subtle shifts and breaks in response to the program. 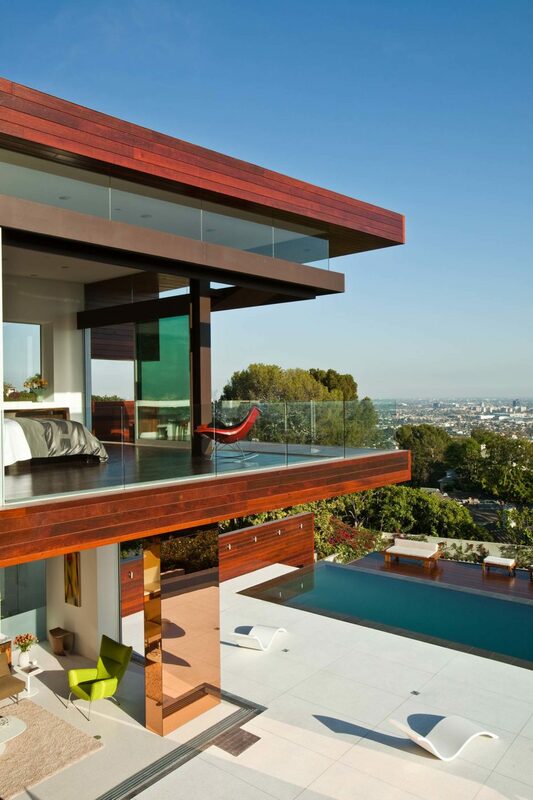 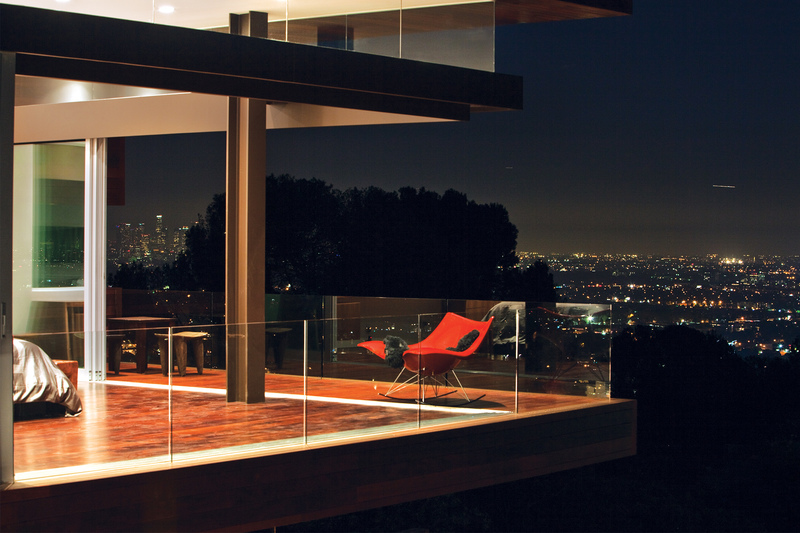 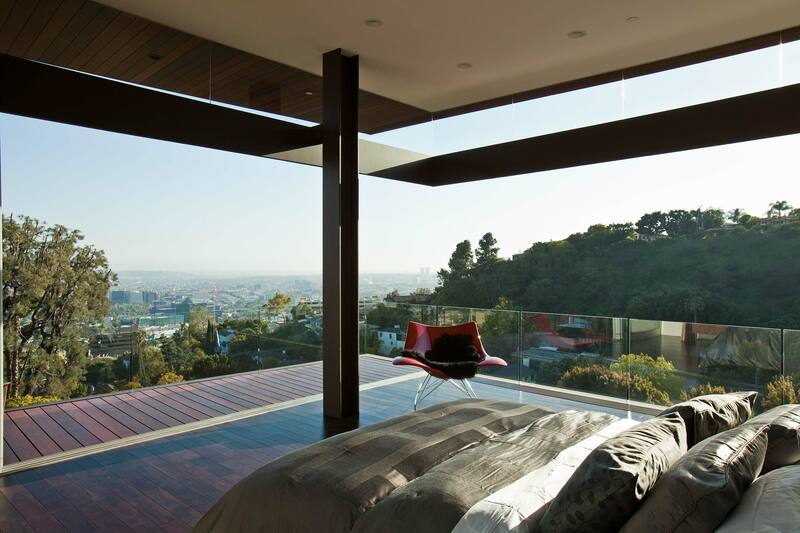 The residence offers a vantage point of 180-degree views of the Los Angeles basin. 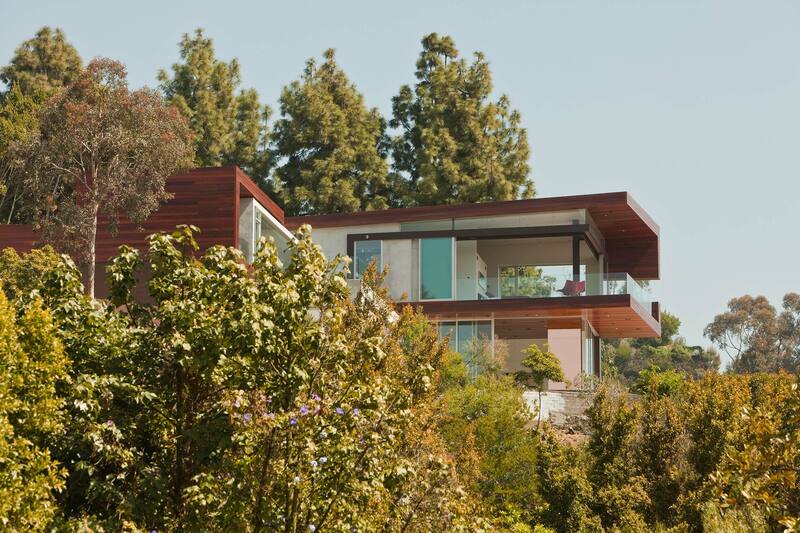 The upward inflection of the roof plane expands the view framed by the house facing south and west. 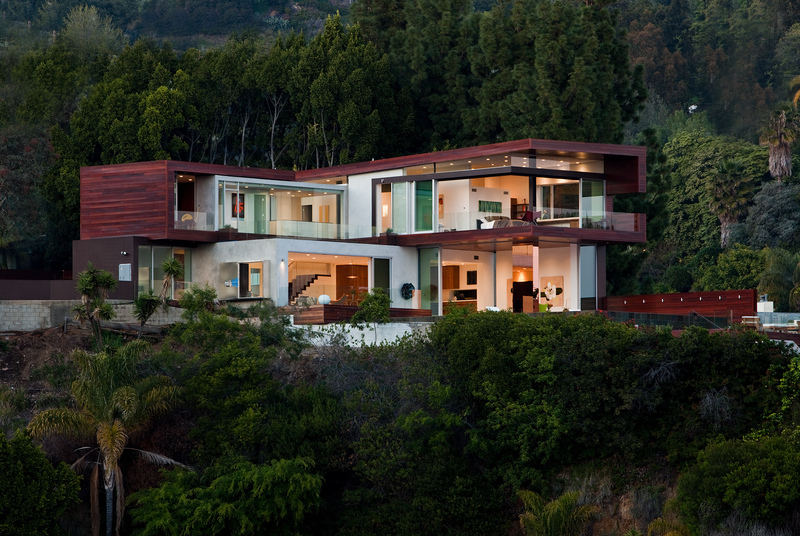 In the plan, vectors pivot around the service core of the house emphasizing the sight lines of the house. 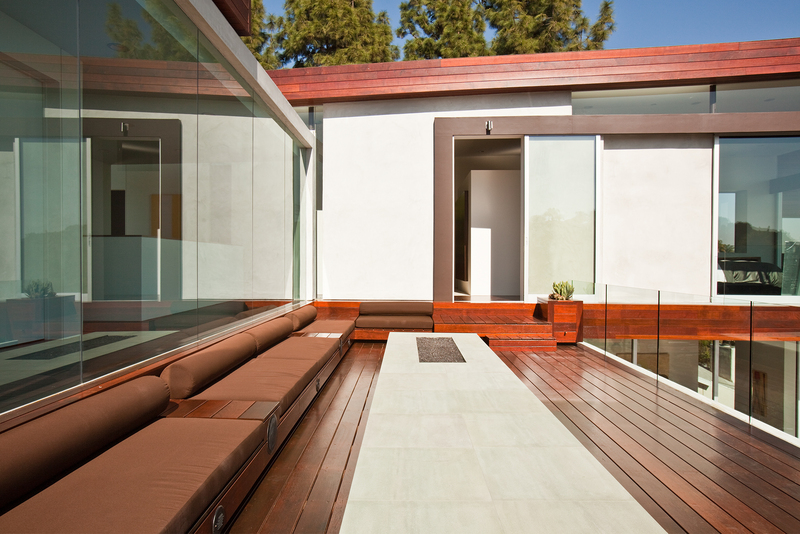 The site is developed as a series of outdoor spaces that interlock with the ground floor spaces of the house. 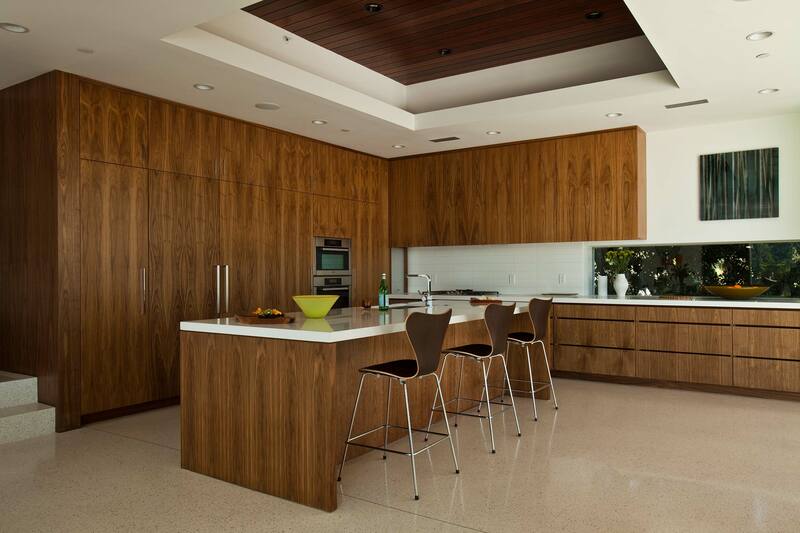 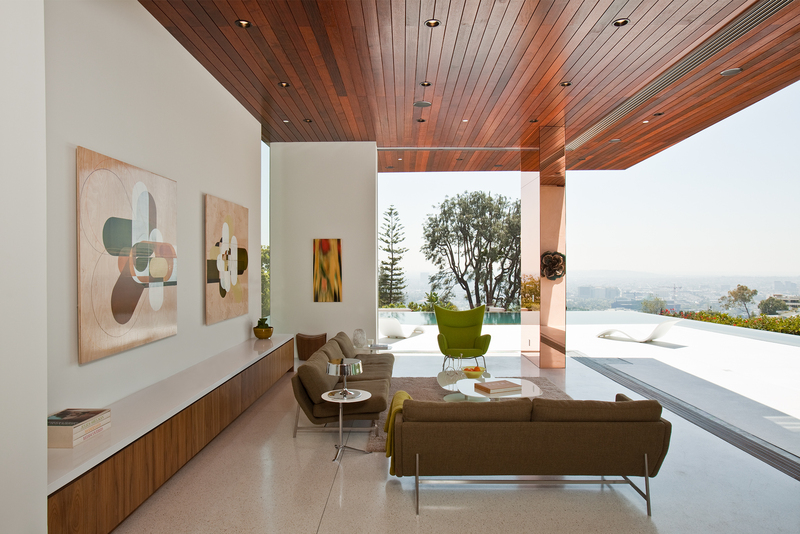 Gleaming white terrazzo floors and walls of glass unify the interior and exterior. 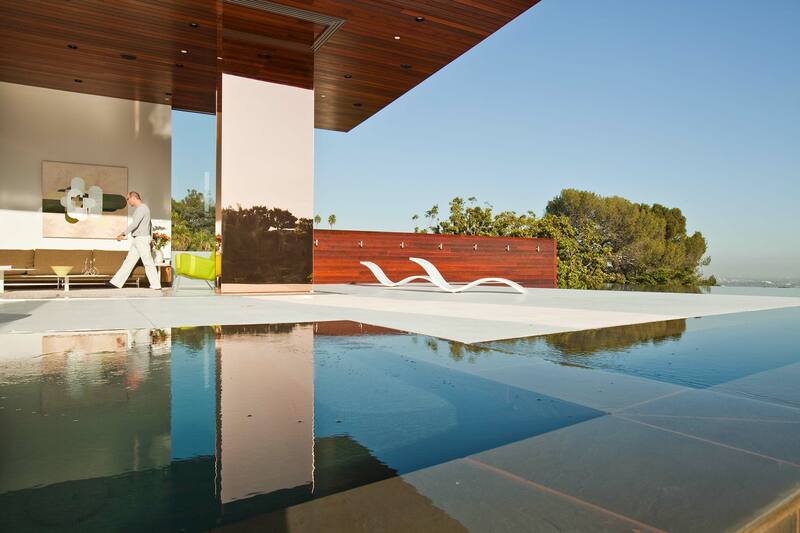 The landscaped gardens are highlighted by a saline infinity pool (with spa) and cabana. 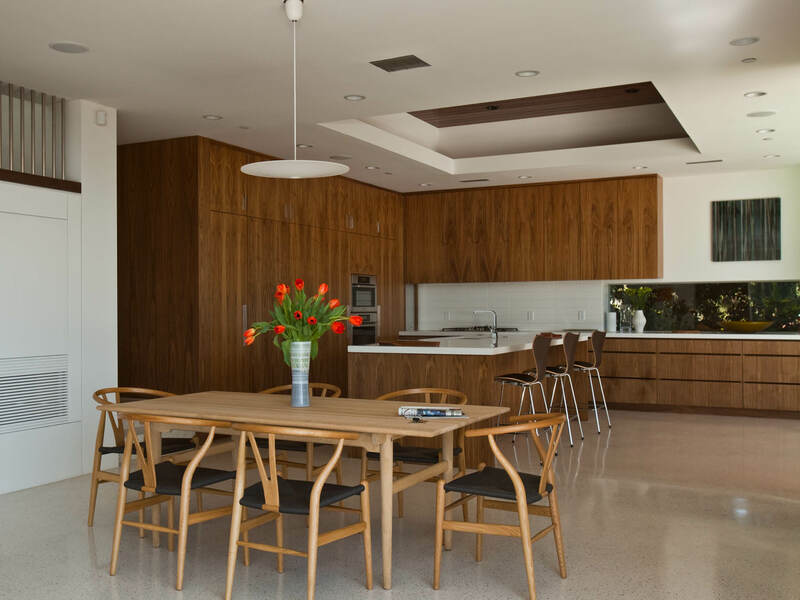 The simple forms and warm material palette evoke a clean modernist approach. 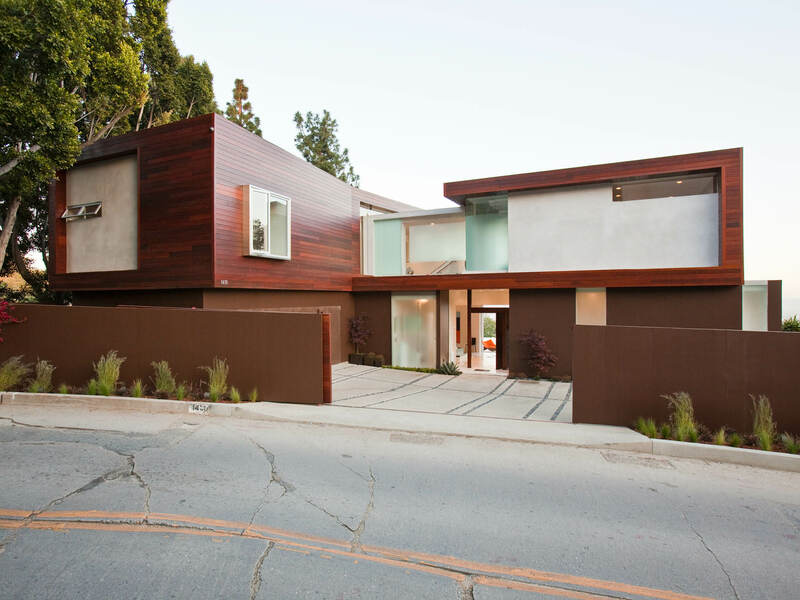 Structural Engineering: John Labib & Assoc.